How much experience do I need? 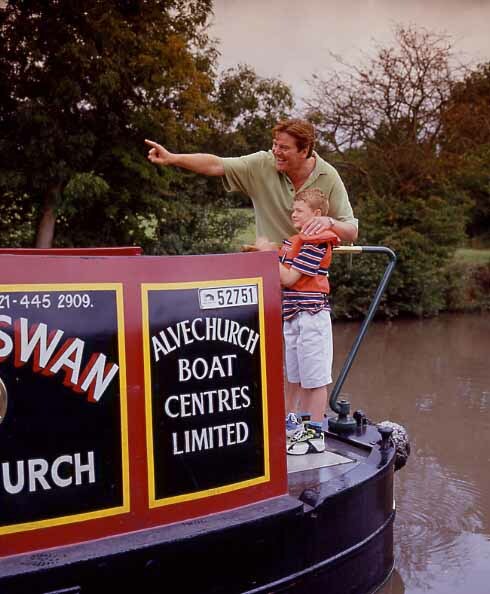 What facilities are provided on a narrow boat? Can families with babies or young children take a canal holiday? Are there any extras to pay? Do I need any kind of driving licence? What do we do about groceries? What if we do not wish to cook on the boat? How do I find out where the shops and pubs are located? How can I charge my camcorder / mobile phone batteries? Can we book for a period other than one or more weeks? When do I pay for my holiday? None at all barges or narrowboats are very easy to steer and control. Our barges or narrowboats are noted for their good, easy handling. Selection of forward and reverse plus the setting of the engine speed is all worked by a single lever. Novice boaters should read the cruising guide that will be sent with their booking confirmation and so prepare themselves for the full tuition that will be given at the start of their holiday. Our barges or narrowboats bring the comforts of home to the waterways. Galleys have three or four burner gas cookers, oven and grill, fridge and sink. They have showers (two on larger boats), flush-toilets and a hand basin as well as hot and cold running water with central heating throughout the boat. You will also find a colour television on all boats and many with DVD player, radio/CD or cassette player and shaver socket. Storage space includes at least two wardrobes - one of which is heated - and a combination of under-berth storage and chests of drawers. All boat interiors are light, airy and the majority are finished in varnished natural wood. We try to avoid using modern laminates. They are laid out with meticulous attention to detail and represent the accumulated experience of our years of using and building canal boats. Boats are cleaned, stem to stern, inside and out, and engines are checked over by our mechanics before being passed as ready for hire. Click here for details of the inventory included with your boat. 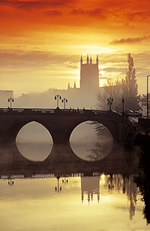 Choose from 1500 miles of non-tidal canals and rivers. Included in the cost of your holiday is a boat licence from British Waterways which allows free use of all the canals, locks and rivers under their control - which is most of them. Should you wish to cruise on the very few waterways not under their control, you will need an additional licence. We will be pleased to advise you on the requirements and cost of additional licences. Planning your cruise is made easy with the range of excellent Route Planners and Cruising Guides that are available for sale at each base. Alternatively, they can be mail ordered in advance. Our booking office staff will be pleased to advise you on the best guide for your intended cruise. cot-sides or free-standing cots on many craft, or bring your own (subject to space). buoyancy aids for the safety of both children and adults when on deck. Please let us know your requirements on the booking form. The boat hire charge shown in the brochure includes V.A.T. at 17.5% and covers all the fuel, both gas and diesel, that you use as well as car parking, tuition etc. A compulsory Damage Waiver charge of £45 will be added per boat per booking (not per week) plus the Cancellation Protection Plan at 4% of the hire charge. Pets are charged at £25 each. All our boats come with Third Party insurance cover to a maximum of £2 million. As personal insurance is not included in the above, a Personal Insurance Policy is an option. This option is not available for those people resident outside the U.K. However, similar cover is usually available in the Travel Insurance that most people take out before leaving their own country. Please note that in the case of U.K. residents, it is strongly recommended that Personal Holiday Insurance is taken out. Your requirement must be indicate on the booking form. You do not need a licence to drive your boat and there are no age restrictions on steerers. For obvious reasons we do ask that children be kept under the close supervision of an experienced adult - your insurance cover could be invalidated if you allow a child to steer unsupervised, leaving you fully liable in the case of an accident. Stopping off at towns and villages to shop is one of the pleasures of a canal holiday. However, it is best to start off with sufficient supplies for the first day or two. If you are unable to bring supplies with you or stop on the way to the boatyard, we suggest that you take advantage of the grocery list that we will send you, if requested, to order your initial supplies. If you make sure that it reaches us not less than two week before the holiday, your groceries will be waiting for you on arrival. We will ask you to check that you have received all that you ordered and then will take payment and forward it to the supplier. 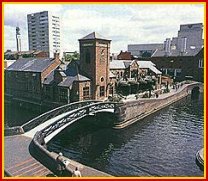 When the canals were in commercial use, the needs of the boat crews ensured that there were pubs at regular intervals along the canals. Many still remain and besides fine ales some offer good simple meals at modest prices. There is a wide range of maps and guides available. We recommend Pearsons or Nicholson guides which give you comprehensive information about all the facilities you will find along the canals including the location of water points from which you can fill up the large fresh water tank on your boat. Just use the order form with the booking form and we will mail the guide(s) of your choice with your booking confirmation and charge them to your final bill. Pets are welcome, but we do charge £25 each. We ask also that you keep them away from the bedding and soft furnishings. We do reserve the right to charge customers in full for any extra cleaning or the repair of damage caused by pets. The best solution is to bring with you a 12 volt charger lead that has been designed for use in a car with a cigar lighter type plug. All our boats are fitted with a 12 volt car cigar lighter type socket. Please note that some of our boats that have 240 volt AC supplies from inverter or generator systems are unsuitable for the supply of low currents for lengthy periods. Also the use of shaver sockets for this purpose will to lead to their failure. 110 volt AC supplies are not available in the UK. Yes. We have boats allocated for short breaks throughout the cruising season. By adding a short break to your week or weeks holiday, it is possible to book for 10/11 nights, 17/18 nights, and so on. You pay 25% deposit when you book with the balance to be paid eight weeks prior to your holiday. We are happy to accept payment by cheque, Switch, Delta, Visa, or Mastercard. There is a 1% surcharge for payment by credit card. Cheques and Debit card payments are free. For holidays booked less than eight weeks before the start date, the full amount is payable on booking. 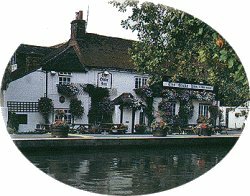 With your confirmation of booking we will send you a holiday guide full of useful information, including full directions to our boatyards, take-over times, procedures, information on waterways, where additional licences may be required, and a groceries list (if you have asked for it on the booking form), and a British Waterways Boaters Guide.